With summer in full swing, the countdown to the 2015-2016 school year has begun. I have prepared an annual portfolio for last year's work. I have packed up the old books and have brought out the new. I have made a few last minute curriculum decisions. the part I always look forward to. Now it's time to begin sketching out the upcoming school year. It's no secret that I love my Well-Planned Day Planner. It's kind of like my second brain. Oh, who am I kidding? It is my brain. What I love most about having a well-ordered plan in place is that I don't have to invent the wheel, so to speak, every single day of the school year. 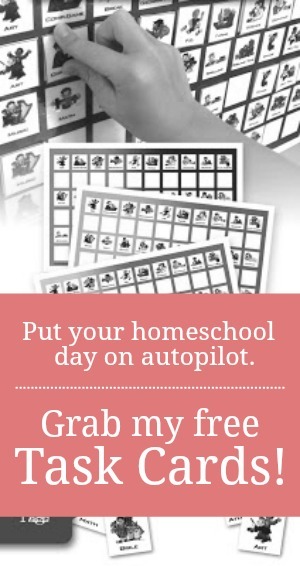 With a little bit of purposeful time spent during the summer months to plan my entire school year, I can pretty much put homeschool on auto-pilot from September until May. My planner helps provide forward motion and direction to our days. It provides the freedom to chase educational rabbit trails as often as we like because we know that whenever we are done wandering, we can easily jump back on track with one quick glance at the plan. 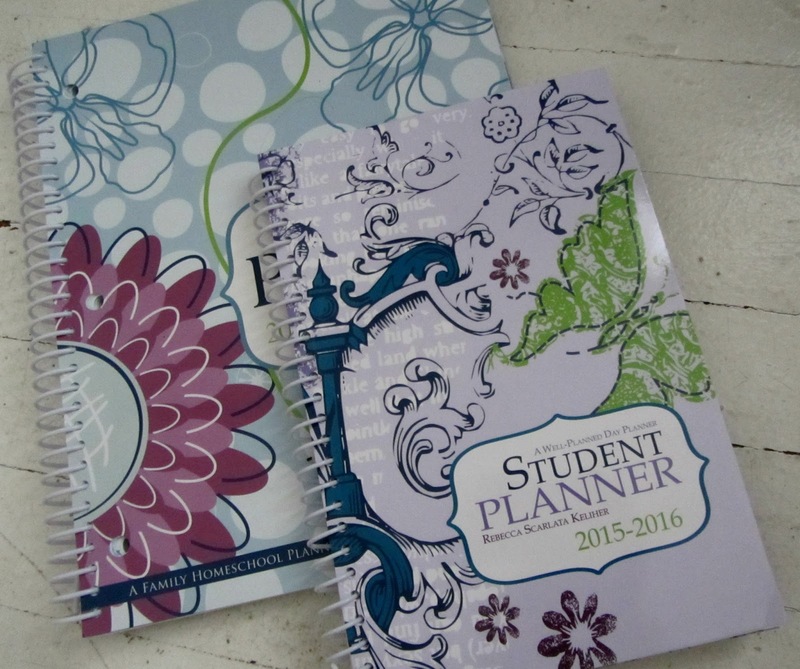 This year, in addition to the original Well-Planned Day Planner, I am also adding the Student Planner into the mix. My daughter, although relatively comfortable with her self-driven day, has asked to have a planner similar to mine. At only eleven, she has already seen how superior The Well-Planned Day planner is compared to other brands and wants one of her own. So, being the card-carrying member of the I-Heart-Planning-Club that I am, I happily obliged and presented her with a 2015-2016 Well-Planned Day Student Planner. 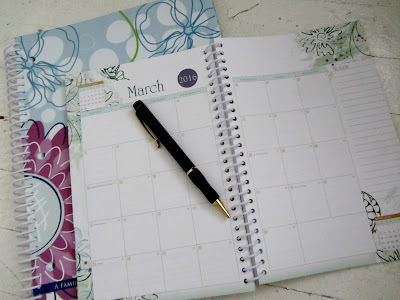 While we follow a typical school year calendar of nine months on three months off, I know there are many homeschoolers who prefer a year-round calendar or even a Sabbath school calendar. 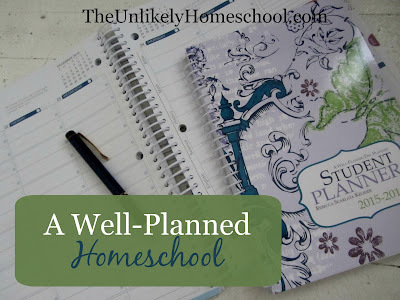 Unlike other student planners, The Well-Planned Day Student Planner was created by a homeschooler with homeschoolers and their untraditional schedules in mind. The calendar runs from July to June providing scheduling space for an individualized plan. Each weekly scheduling page contains a noteworthy quotation from a famous historical person, all of which support my Biblical worldview. I plan to use these quotations for copy-work ideas for my younger kids. This will save me a.whole.lot.o'.time since I won't have to go searching elsewhere for appropriate copy work quotes. To be honest, one of the reasons my daughter likes MY planner so much is that it is just plain pretty. She's right. It is. But, so is the student version. In case your child isn't really into all-things-girly, however, you can always opt for the more gender neutral design. For more information, be sure to visit Home Educating Family on Facebook and Twitter. 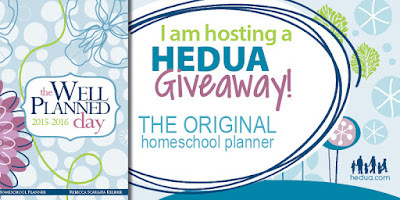 Want a well-planned homeschool too? 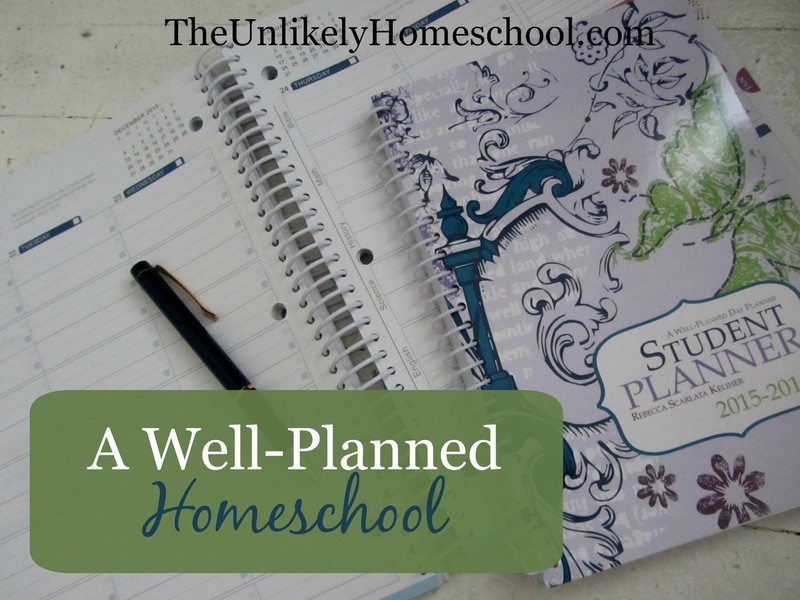 A well-planned homeschool has to start with YOU! 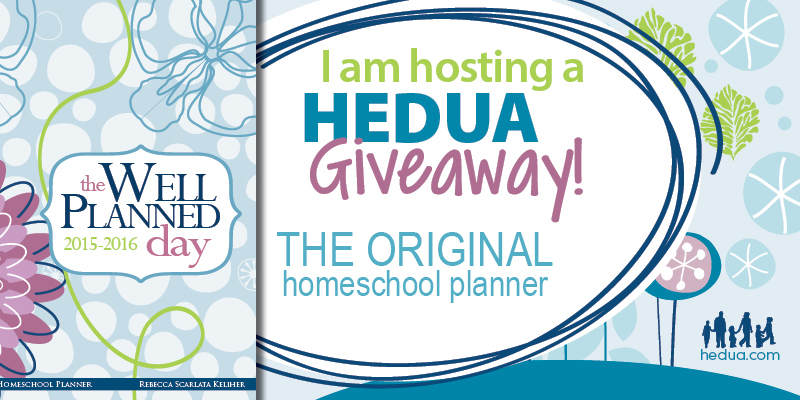 Might I suggest that you try the original Well-Planned Day to help organize your upcoming school year? If your day is organized and well-thought out, your child's day will be too. Now's your chance to grab your very own copy of the 2015-2016 Well-Planned Day Planner for FREE! No purchase necessary to win. Must be 18 years old or older and have a US address to enter. One winner will be randomly selected and announced sometime after Sunday, June 28, 2015. The winner will be notified by email and will have 72 hours to respond. If an email address is not provided or the winner does not respond, the prize will be forfeited and a new winner will be randomly selected. This giveaway is in no way associated with Facebook. Just entered the giveaway and added the student planner to my amazon cart!! this is exactly what we need right now! No, I don't know of any stores that sell this particular planner. I have only ever seen them online or at homeschool conventions. Sorry. Happy planning!